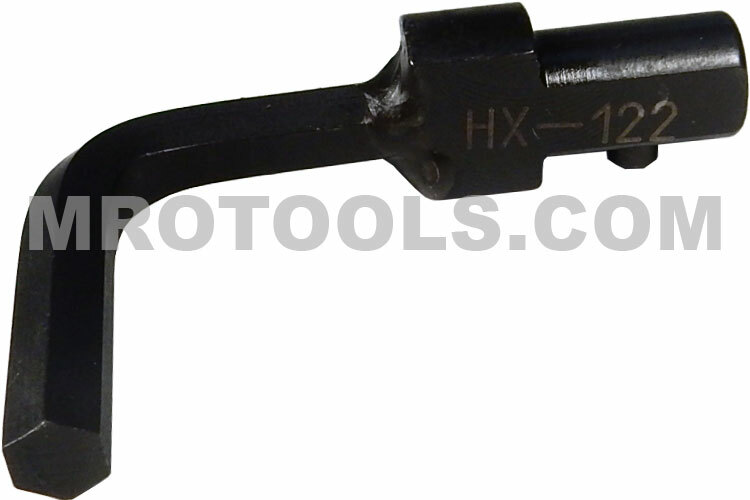 The HX 122 Utica Torque Wrench Hex Key Interchangeable Head ''A'' Size - SAE is one of thousands of quality tooling products available from MRO Tools. Please browse Utica Torque Wrench Interchangeable Heads - ''A'' Size Series for tools similar to the HX 122 Utica Torque Wrench Hex Key Interchangeable Head ''A'' Size - SAE. HX 122 Utica Torque Wrench Hex Key Interchangeable Head ''A'' Size - SAE description summary: Utica torque wrench hex key interchangeable head ''A'' size, SAE. 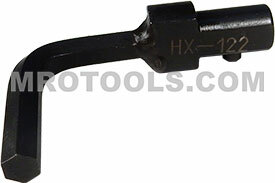 Hex Key Opening Size: 3/16'' in.-lb. : 222 ft.-lb. : 18 Nm: 25 Quantity discounts may be available for the HX 122 Utica Torque Wrench Hex Key Interchangeable Head ''A'' Size - SAE. Please contact MRO Tools for details.